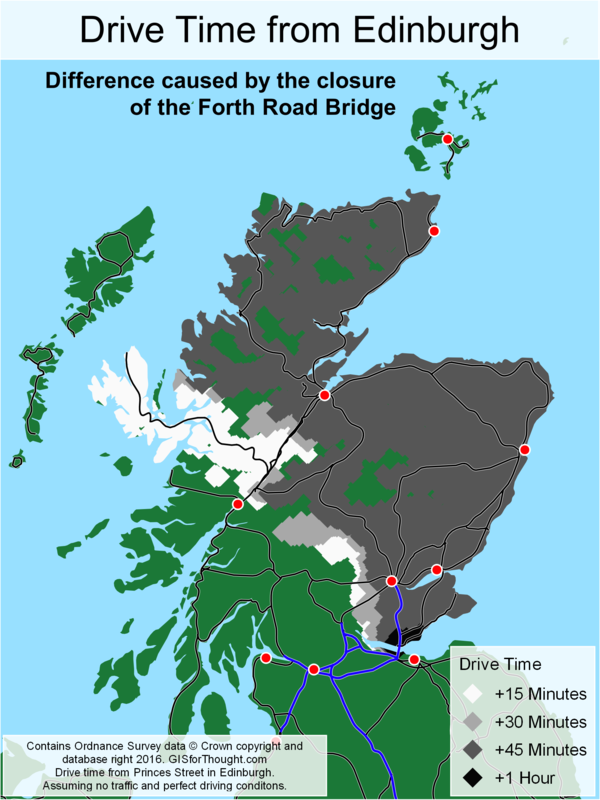 In honour of the Forth Road Bridge re-opening completely. 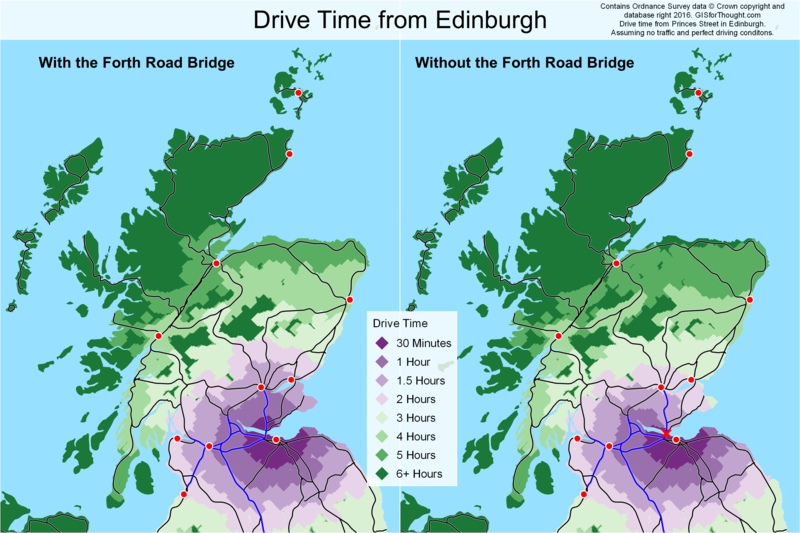 I created a map of the impact it has had on drive times from Edinburgh. This is based on the OS Open Roads Product, using pgRouting, and network generated using the guide from Ross McDonald. This does not take into account the increase of traffic on the other routes, or traffic in general. Would be interesting to see a real impact map from one of the major navigation providers. This entry was posted in All, Maps, Ordnance Survey, OSGeo, pgRouting, PostGIS, PostgreSQL, QGIS, Scotland on 02/22/2016 by Heikki Vesanto. Paula Williams, Curator of Maps, Mountaineering and Polar Collections, from the National Library of Scotland will talk about four hundred years of mapping the Stirling area, illustrated with maps from the NLS collection. This entry was posted in All, Historic Maps, Maps, Scotland on 02/17/2016 by Heikki Vesanto. 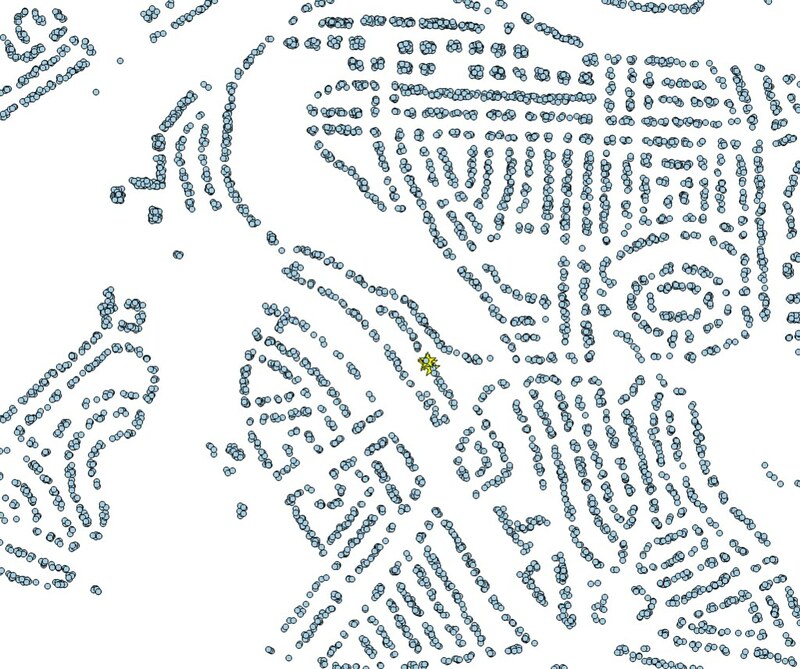 I have been working a lot with points recently, and one thing with the default selection highlighting in QGIS is that selections do not really stand out. This is especially true with point layers. A bit of an extreme example, but there are 15 points selected in the middle of this image. 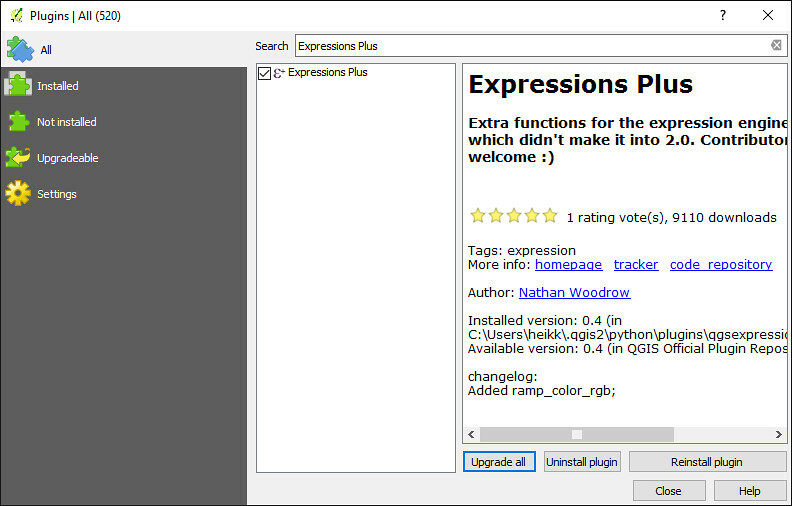 However, we can remedy this with the Expression Plus plugin (by Nathan Woodrow) and a rule based symbology. 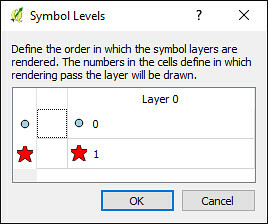 With this we can easily create rule to symbolise features that are selected. So we can see that 2.12 has added a slightly more dynamic way of applying the symbology. We can now slightly more easily see our selection. But one final setting. With symbol levels we can really make the selections pop. Symbol levels can be set from the bottom right of the styles tab, through rendering order. We simply want out selection to have a higher number than the other symbologies. Thus being rendered in a later pass and appearing on top. This entry was posted in All, OSGeo, QGIS, Tutorials on 02/15/2016 by Heikki Vesanto. A cool python script has been created that allows you to easily convert your google location (Takeout) data into a shapefile. The python script requires GDAL and its python bindings, but can be easily run if you installed QGIS using the OSGeo4W installer. From the advanced installer, under the Lib section. Then using the OSGeo4W Shell. Then just style it in QGIS as desired. This entry was posted in All, Data, OSGeo, Python, Tutorials on 02/01/2016 by Heikki Vesanto.